The RX L isn’t a bad car, it’s just that in the Volvo XC90 T8, it has a very good rival indeed. The Lexus is well-made and comfortable to ride in, but it's a little short on performance due to the hybrid powertrain, and the handling is disappointing, too. Legroom in the back is minimal if you’re using both rows. Overall, it’s hard to recommend this over the Swedish SUV alternative. 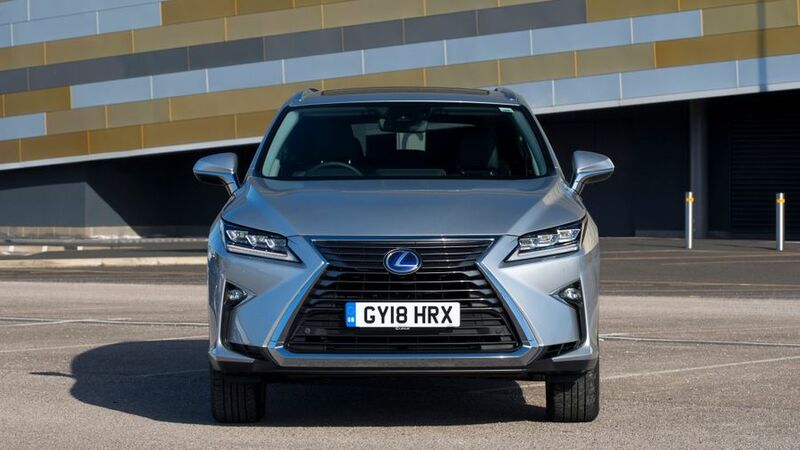 Interested in buying a Lexus RX L 450h? You’ll have to pay attention to differentiate the RX L from the regular RX, but look closely and you’ll see that it’s been extended by 110mm to accommodate the third row of seats, making it five metres long exactly. It’s the same height and width as the regular car. 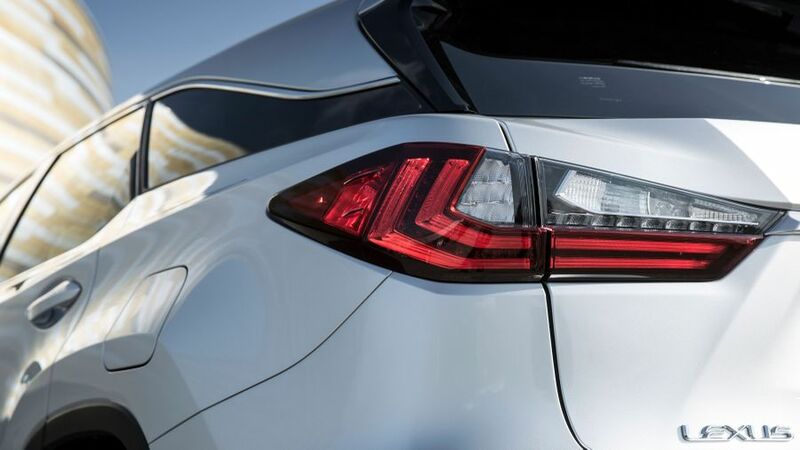 The angle of the boot lid window is steeper than before, to ensure there’s adequate headroom in the back, but other than that, visual changes are minimal. All models get LED headlights, and top-end Premier models also get front fog lights and cornering lights, which project into the corner you’re turning into. Entry-level SE cars ride on 18-inch alloy wheels, while the Luxury model has 20-inch wheels. 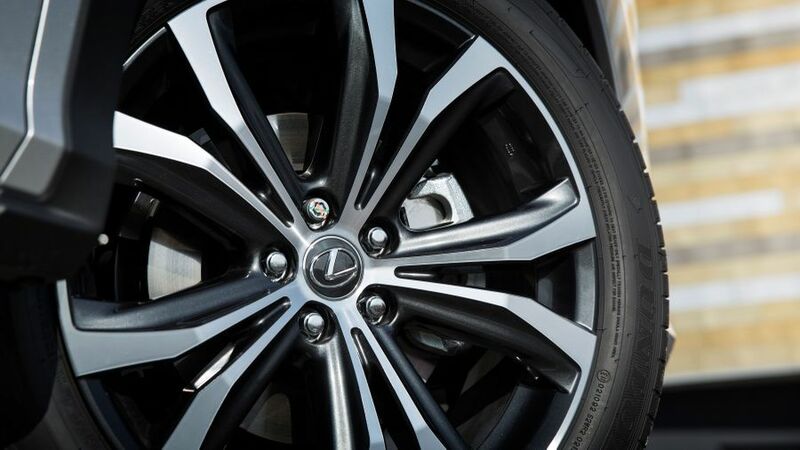 Premier cars have a different design of 20-inch wheel with a choice of black, brown or white inserts. 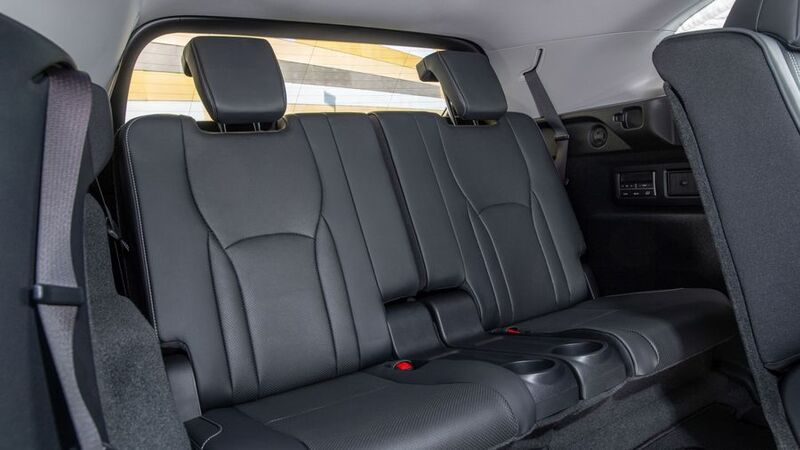 Leather seats are standard across the range and the front row seats are comfortable and adjustable in every which way. The steering wheel also adjusts to give most people their preferred driving position. The cockpit is adorned with leather as well as aluminium and dark wood with laser-etched detailing, created by the same people at Yamaha that work on guitars and concert pianos. It makes for a classy, understated environment. Build quality is good, but lacks some of the final edge of quality that makes Audi the king of solidity in this type of car. There are a few bits of plastic that feel a bit cheap, and one of our test cars developed a couple of annoying creaks, but overall it’s a solid and well-made place to sit. Luxury and Premier models get a 12.3-inch screen to display sat-nav and entertainment information, while the SE model has an 8.0-inch screen. These are controlled via a joystick in the centre console, which is fiddly and confusing to use when you're stationary, and too distracting to use when you're on the move. 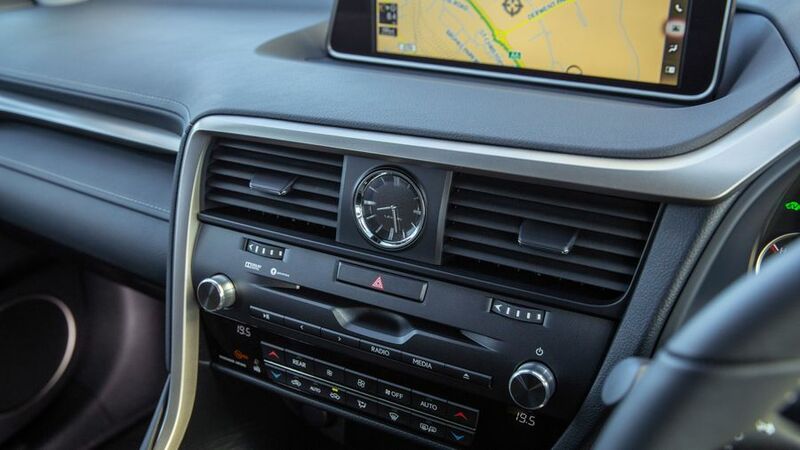 For audiophiles, Lexus is one of the few manufacturers that still includes a CD player. The big feature of the RX L is its third row of seats, which allow two more occupants to sit in the back while still leaving enough boot space for a couple of golf bags, which is impressive. Head space in row three is pretty decent, and there are cupholders between the two back seats, which will fold down electrically into the boot floor if you need extra luggage space. However, legroom is in severely short supply. The second row of seats slide individually to give more space in the back, but then you’re left with very little legroom there, too. For smaller children, it should just about be ok, but trying to get seven adults in will require a great deal of seat adjusting on all three rows, and even then we wouldn’t want to spend more than a few minutes crammed in there. With the third row of seats folded away and the second row slid back, legroom is decent, but then there’s a regular RX available if you don’t need the rear seats. Elsewhere, there are good sized door pockets, two cupholders in the second row if you fold the centre armrest down, as well as a small cubbyhole. In the front, two cupholders feature depth adjustment for different size containers, which is a nice touch. Boot space is decent - Lexus claims you can cram in two golf bags with the third row of seats up, although it would be a squeeze - especially with the rear seats folded down, with a flat load floor and no lip to lug stuff over. 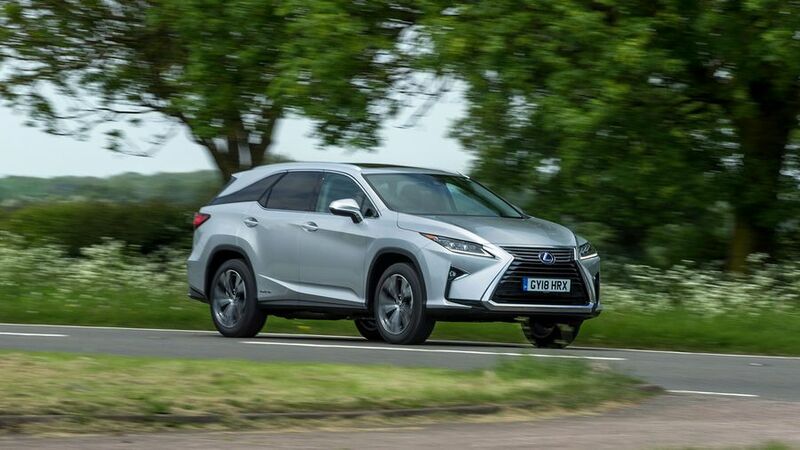 There are two suspension options on the RX L, with the top-of-the-line Premier version sporting an adaptive suspension system that adjusts its stiffness to cope with different road conditions. It has an impressively supple ride quality that massages away lumps and bumps in the road and makes for relaxing, comfortable progress. There’s a dial in the centre console that lets you put the car into Sport or Sport+ mode, which might cause you to expect a level of exhilaration. But don’t be fooled. It’s a very heavy car – considerably more than two tonnes – and the weight really shows itself through the corners unless you take things sedately. Try and hurry, and it’ll lumber around and roll about as the suspension tries to hold up all that bulk. The steering lacks the sharpness you need for zippy progress, but if you relax and guide the RX L along at its own pace, you’ll find it a generally pleasant experience. The standard suspension, featured on SE and Luxury cars, actually improves the car’s handling, but at a slight cost to the ride quality, with more information filtering through from road to passengers. We’ve only driven the RX L abroad so far, so we’ll reserve final judgement on which system is preferable until we’ve tried it on UK roads. 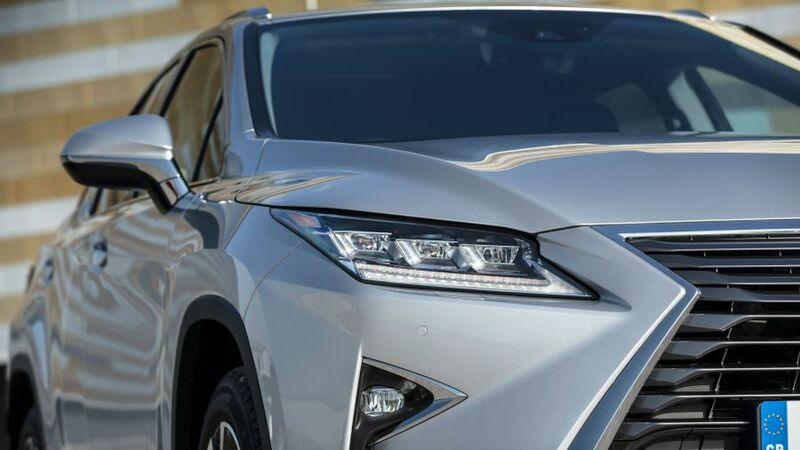 There’s just one engine choice in the RX L, and it’s a hybrid system that features a 3.5-litre V6 petrol engine attached to two electric motors. There’s no plug-in option, which means you can’t recharge the battery at home or at a public charge point. Instead, the battery recharges itself from either the engine, or through reclaimed energy from braking. It’s a well proven system in a range of other Lexuses and cars from Toyota (Lexus’ parent company), but with Volvo’s XC90 T8 offering a full plug-in option, it’s a shame that Lexus can’t match the latest technology. Although the combined power of the engine and motors is more than 300 horsepower, it’s far from zippy to drive. The electric motors add a bit of pep when you first put your foot down, but after that the petrol engine struggles beyond a fairly sedate pace. The experience isn’t helped by the CVT gearbox, which sends the engine revs soaring as it tries to find the right ratio. 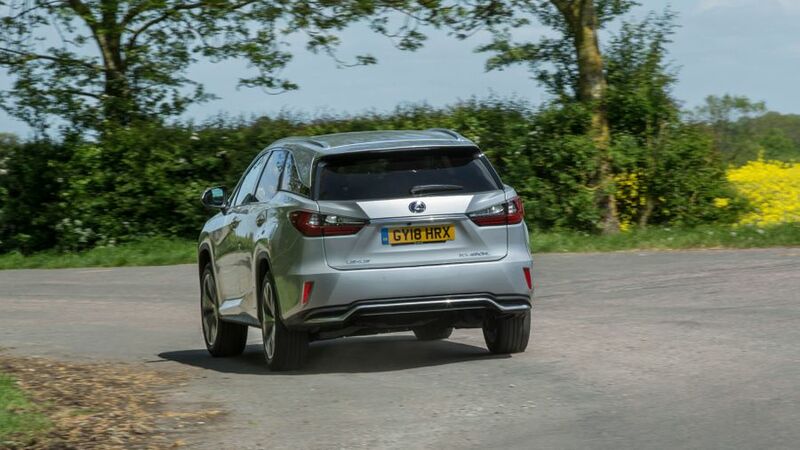 As it’s only available as a hybrid, the RX L takes aim squarely at the Volvo XC90 T8. When in fully-loaded Premier trim, the Lexus is around the same price as the Volvo, and the mid-level Luxury model – likely to be the big seller – is several thousand pounds cheaper. With strong resale values and a decent level of equipment, the RX L isn’t a bad option when taken on its own values. But the Volvo also has strong resale values and, thanks to its plug-in hybrid technology, can be driven on pure (and cheap) electric power for much longer than the Lexus, which could dramatically reduce your fuel bill. While data specifically about the RX is difficult to come by, Lexus and its parent company Toyota have a deserved and long-running reputation for reliability, consistently scoring highly in studies like the Warranty Direct Reliability Index and the JD Power Vehicle Dependability Study. Should anything go wrong, Lexus offers a three-year, 60,000-mile warranty. 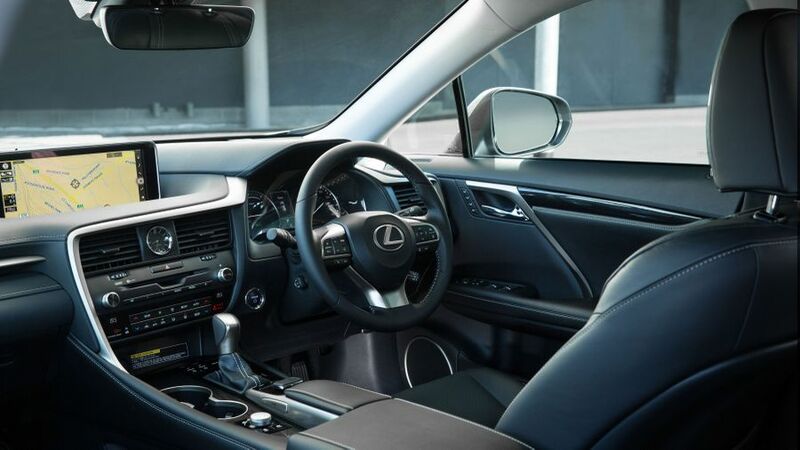 All cars come with Lexus’ Safety System+, which is a suite of technologies that includes automatic emergency braking, which will slam on the anchors if you don’t react to an impending accident, and lane keep assist, which will alert you if you inadvertently drift out of your lane. A traffic sign recognition system will also display the current speed limit and other warnings on the car’s screen. Ten airbags are included as standard, and there are two Isofix child seat mounting points on the second row of seats. The car scored a maximum five stars when crash tested by safety organisation Euro NCAP. 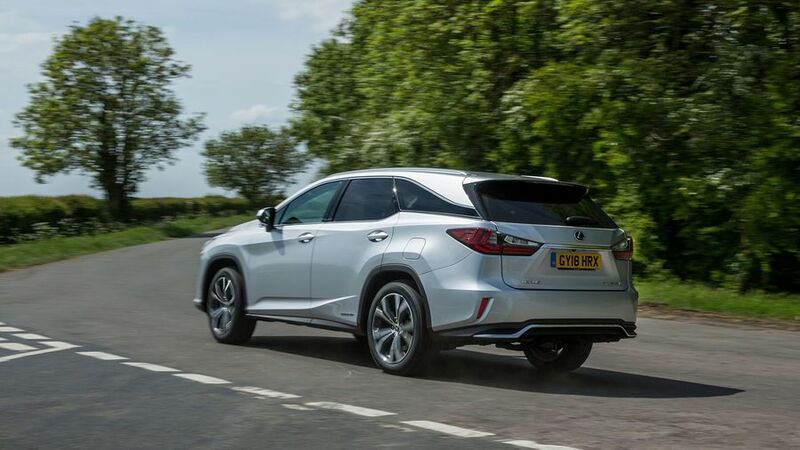 The RX L has three trim levels, all of which are well-specced as befits the hefty price tag. The SE model as a reversing camera, electric, heated and ventilated front seats and triple-zone air conditioning so the people in the back can choose their own temperature. An electric boot lid and keyless entry and start are also included. The Luxury model – which Lexus thinks will be the biggest seller – has the upgraded infotainment system, wireless phone charging, a more advanced parking assistance system and automatic wipers, while the top-end Premier model adds a head-up display that projects driving information onto the windscreen, meaning you don’t have to glance down at the instrument panel as often. It also has more adjustable front seats, heated seats in the second row, a sunroof and an uprated sound system from Mark Levinson. We reckon the Luxury model makes the most sense, as the Premier trim is quite a price hike in comparison. Because you don’t like the Volvo XC90 T8, for whatever reason. The RX L isn’t a particularly bad car, but when its direct rival is so good, it makes it hard to find a reason to opt for the Lexus. If you don’t need seven seats there are plenty of other hybrids and plug-in hybrids to choose from, and if you’re not set on a hybrid powertrain then there are other good premium seven-seat SUVs, too.